WASHINGTON - Sept. 21, 2017 - PRLog -- "I agree with Elon Musk of Tesla that Africa is going to leapfrog into the power sector with new technologies," says Joseph Inyang, Chief Technology Officer of Juststandout Limited, during a podcast interview for journalists. Juststandout Limited is a mechanical and electrical company based in Lagos, Nigeria that focuses on providing alternative power solutions, and according to Inyang, emerging markets which includes many African nations struggle with what he personally coined the "kilowatt divide". "The kilowatt divide exists due to the absence of absolute kilowatts, a lack of efficiencies within the distribution system, and the efficiencies of equipment that are being used in those markets," says Inyang. In the interview, Inyang states that prices have dropped significantly for solar panels leading to an increase in market penetration and providing attractive economies of scale for companies to leverage solar energy solutions in African nations. Agribusinesses can maximize their efforts by creating cooperatives to raise enough capital to create a mini-grid according to Inyang. "Let's say you put together 20-30 farmers in a co-op, and go to the Bank of Industry in Nigeria," says Inyang. "You are now able to command a certain amount of capital for your investment." "I think solar lends itself to smaller agro businesses," says Inyang. "When I say solar, I mean solar PV, water heaters, dryers and storage. This entire system is really what encompasses a farmer to get value out of their produce." Looking to the future, Inyang says, "Storage like the lithium ion battery is where the industry is headed. Juststandout Limited is looking for places to provide storage and provide mini-grids." An example of one such cooperative Inyang refers to is MAMF Outreach Initiative. MAMF has been operating in Cameroon for 10 years; they are laying the groundwork to expand to other regions and are now registered to operate in Nigeria and Gambia and have pending registrations in Senegal and Liberia. 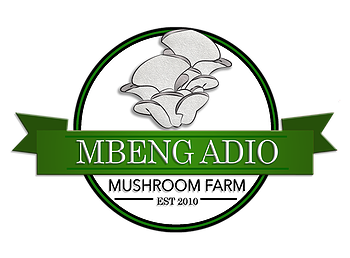 MAMF is currently talking with investors to construct a centralized mushroom farm that leverages solar technology. Both Inyang and MAMF Founder, Bridget Mbeng's analysis agree that such a farm would scale up MAMF's operational reach and bridge the very kilowatt divide Inyang discusses. Mbeng states, "Construction of the solar powered, central farm is of the highest importance for MAMF and its continued success. Investors from Cameroon, other African Nations, and all regions of the world will be able to see a tangible demonstration of the economic growth potential that MAMF is generating." The potential of this untapped market and the demand for what these businesses generate is demonstrated by the fact that every mushroom MAMF currently produces is being purchased by the state of Cameroon. Both MAMF and Juststandout Limited believe the future looks bright as they continue to evolve within these emerging markets and leverage new technologies like solar powered micro-grids. "There is a tremendous opportunity in what MAMF is doing. Right now, we are in Cameroon and growing mushrooms, but that is only the beginning. For these women, for the youth, and for MAMF, there are more crops and more areas we can export to. We are just getting started," says Bridget Mbeng. "Our prayer is that we will overcome this kilowatt divide very soon, just like the digital divide when we moved to cell phones from landlines, we will get there. I truly believe that," states Inyang. For more on MAMF Outreach Initiative's mission, impact and investment opportunites visit www.mamfglobal.com. To learn more about Juststandout Limited's and their alternative energy solutions visit www.juststandout.com.